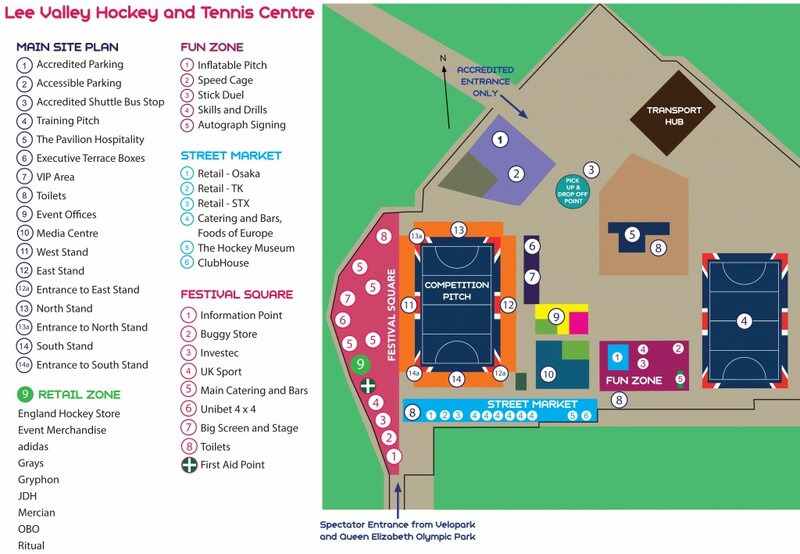 Lee Valley Hockey and Tennis Centre is a hockey and tennis legacy facility from the 2012 London Games, located to the north end of Queen Elizabeth Olympic Park, next to the VeloPark. At the Unibet EuroHockey Championships there’s something for everyone – entertainment for all ages on and off the pitch. 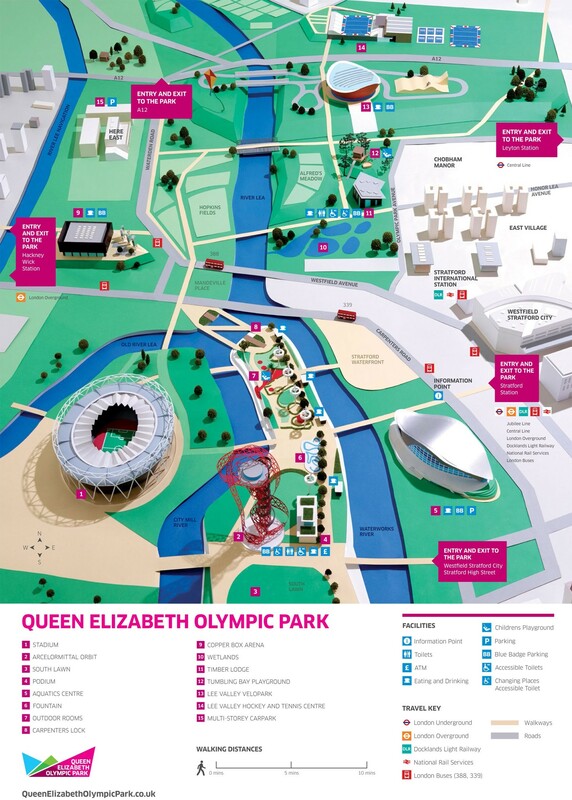 Take a look at the venue map on the right so you can find your way round the venue. There’s a fun zone for the kids; ‘Festival Square’ for food, drink and entertainment, and a ‘street market’ for retail and catering too. Make sure you pick up your event programme and Commentary Link audio device (so you can listen to the live TV commentators while you watch the hockey) on the way into the venue – they’ll make your day even better.